'Family Guy' Kills Main Character for 'Fun,' Sparks Fan Outrage - trendistic.com: ever tried. ever failed. no matter. try again. fail again. fail better. His owners — Peter, Lois, Meg, Chris, and Stewie — cried as a blood-soaked Brian took his final breath. 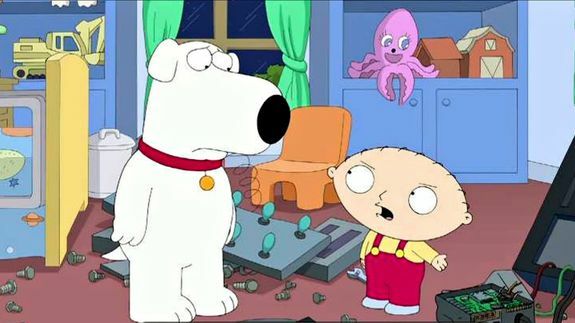 Stewie can’t reverse the death because he destroyed the time machine he created. The family adopts a new dog, Vinny, to cope with the loss.